Red Angus & Red Simmental Cattle. Gavin and Kirrily Iseppi are fourth generation cattle breeders who registered the GK prefix in 1996 with the goal of establishing a quality Red Angus herd. 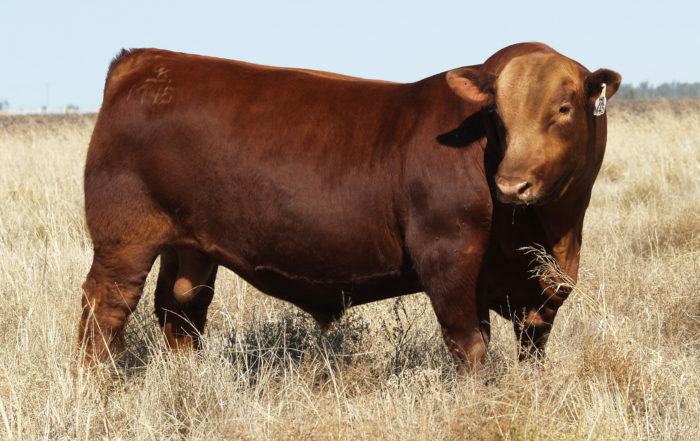 Based just outside Dalby on Queensland’s Darling Downs, and with the female herd running on our grazing block at nearby Millmerran, our aim remains to breed a select herd of performance red cattle while retaining calving ease, as well as the meat quality and maternal attributes for which the Angus breed is renowned. We recently have started to add a few Red Simmental genetics to our program. 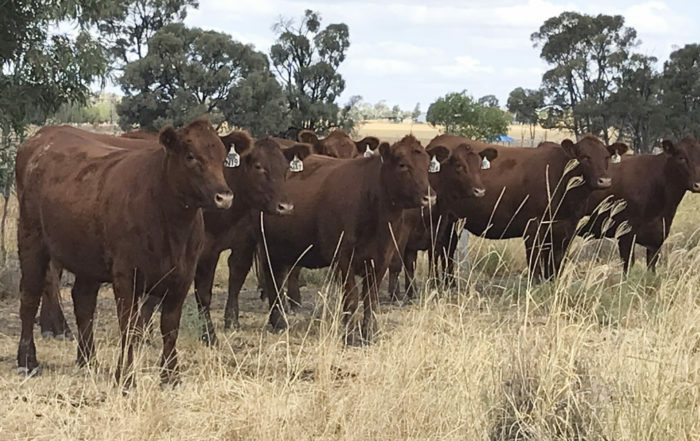 We could see an opening for a solid coloured, maternal, European breed in Queensland and believe the Red Simmental will complement our program and give our clients an option to gain hybrid vigour without compromising uniformity in their herds. What does our breeding program offer? We produce genuine performance cattle that add kilos, yet survive (and thrive) in harsh environments when required to. Their progeny are efficient, top the markets and hang up well. On top of this, you can rest assured that their daughters will also make excellent replacement females. 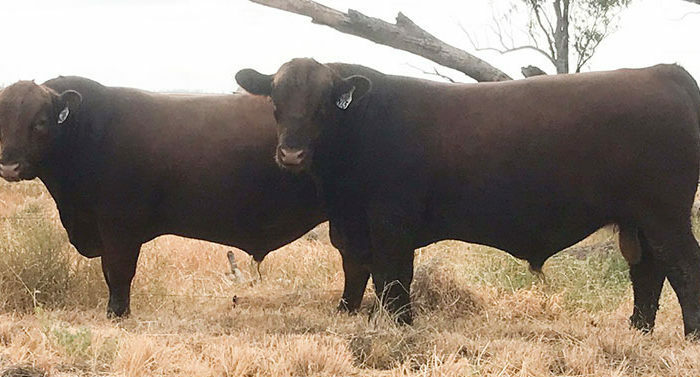 Our weaner and rising two-year-old sale bulls are all blooded for tick fever. They run in mobs, growing out on pasture and cereal crops and, with the exception of our show team, are sold privately, straight out of the paddock. We run a limited number registered cow herd, that consistently produces more sale toppers and show winners (that breed on) than any other Red Angus herd in the country. Cattle and genetics marketed by us are all breed society registered, backed with Group Breedplan figures and guaranteed free of all known genetic disorders. Photography Credits: Queensland Country Life, Nathan Stevens, Grant Rolston, Colin Rex, Angela Morasch, Kirrily Iseppi, ShowChampions Photography.